A list of my more recent collaborations. Please note that I am not a co-author of these papers and am credited in the acknowledgements sections. 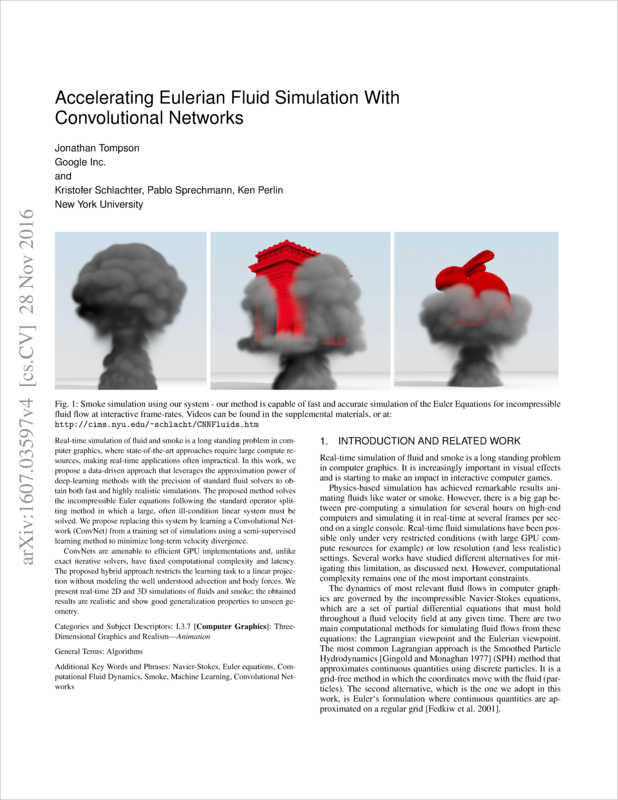 Jonathan Tompson from Google and his colleagues, Kristofer Schlachter, Pablo Sprechmann and Ken Perlin from the New York University have come up with a really nice technique to teach a convolutional neural network how fluid and smoke simulations work. The project webpage is available here, or you can click on the image below to access the paper. 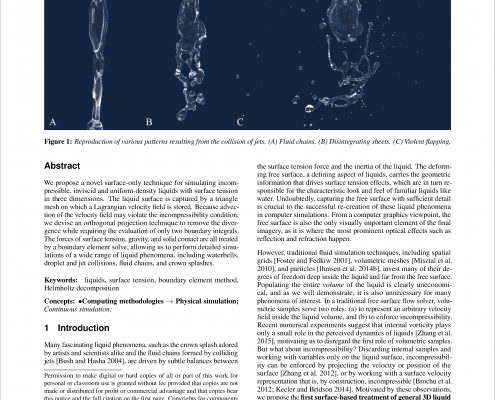 Fang Da and his colleagues published an absolutely amazing paper on fluid simulations. Make sure to have a look, it is available here (or click on the paper below). I helped a bit with setting up the rendering pipeline and the scenes properly.